Anchorage Event supplies & rental is our specialty. 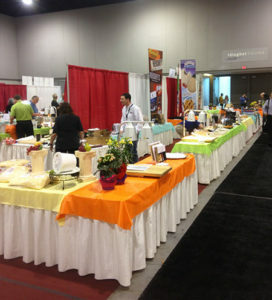 Rent Trade Show, Expos and Convention Equipment from our extensive event inventory. Alaska Event Services has the event equipment and expertise for the successful execution of trade shows ranging from table top events to five hundred booth shows with complete table and electrical installations. Staging equipment – lecterns, pipe and drape, easels, and display panels. We have the largest inventory of chair covers in the entire State and chair sashes to complement nearly every color scheme. Complete table and electrical installations. Our material handling service includes receiving and storage of inbound freight, delivery to the show site, and removal of empty crates. At the close of the event, we can also help arrange for outbound freight forwarding. 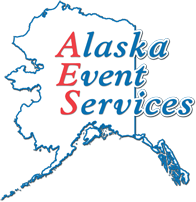 Alaska Event Services is ready for any Alaska-based Trade Show Exhibits, Expos, Conferences, Parties, Weddings, Meetings, Conventions and more!! What is the estimated number of vendors to attend your event that you will need to reserve items for? Include any additional information, special request, or general questions here.